Vintage Old Postcard. South Africa, Mthatha Umtata, Bridge, Panorama. Postally Used in with 1905 with Cape of Good Hope King Edward 7th 1d stamp, tied Umtata. 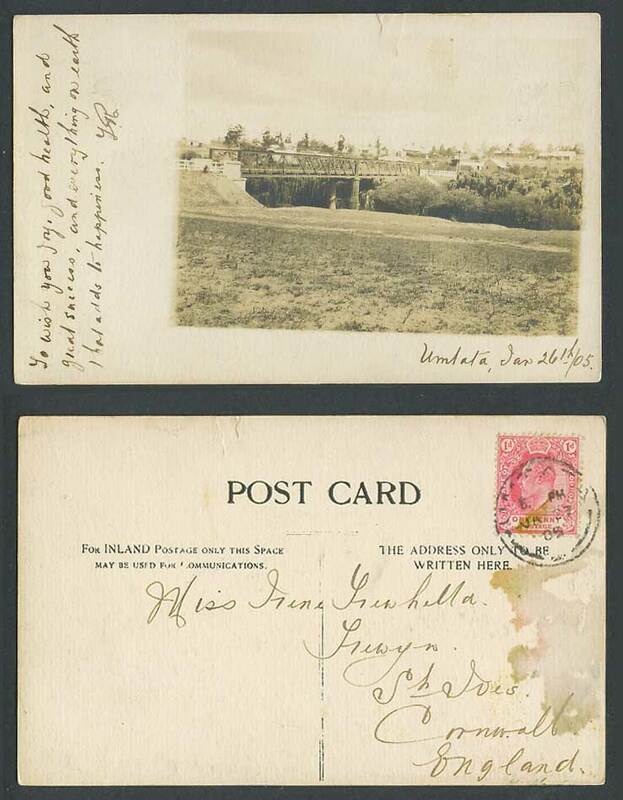 Addressed to Cornwall England. Background: Umtata / Mthatha is the main town of the King Sabata Dalindyebo Municipality in Eastern Cape province.